Is your Sony giving you trouble? Do you need SEQ for Sony Repairs? SEQ Electronics & Entrance Systems can help with Sony Repairs, whether it’s your LED/LCD TV, Home Theatre or DVD Blu-Ray. Sony was once considered the innovators in the electronics industry, today Sony still produces some very good products. Our technicians can offer you expert advice on repairing your Sony product. 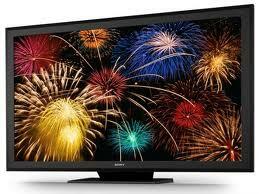 Give us a call or contact us here for any “Out” of warranty issue with your Sony TV. We are not an IN Warranty Sony Repair Agent. Please Note: an Inspection fee is applicable for out of warranty repairs please see here for Inspection Fees. No matter where you are in Brisbane, Logan or Redlands. We can repair your Sony TV.